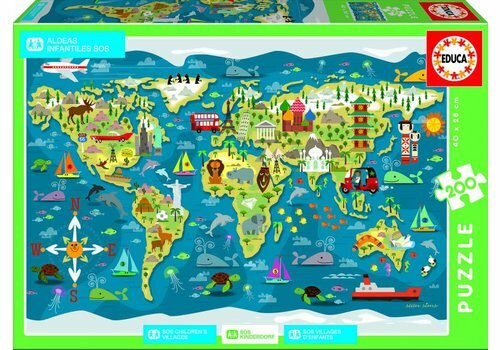 This map of the world is decorated with animals and cultural attractions. 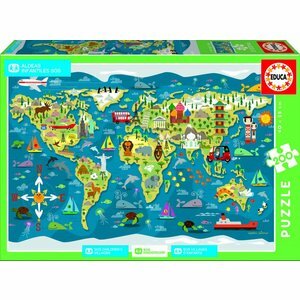 Educa donates 6% of the turnover of this puzzle to SOS Children's Villages. 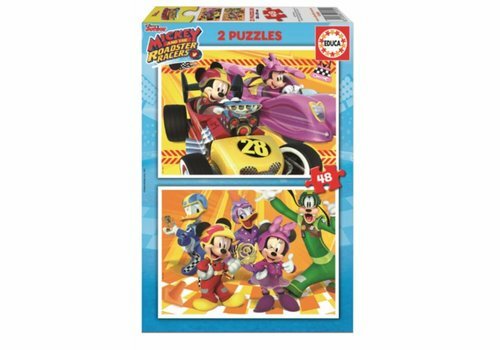 Mickey Mouse and his friends are racing on it! 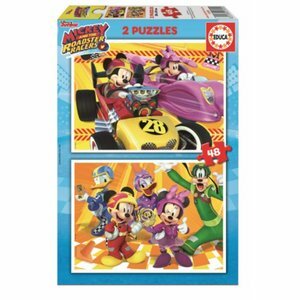 The little heroes will have a lot of fun with these puzzles. And to make it easy: the pieces of each puzzle have a different back. Easy to keep the puzzles apart.